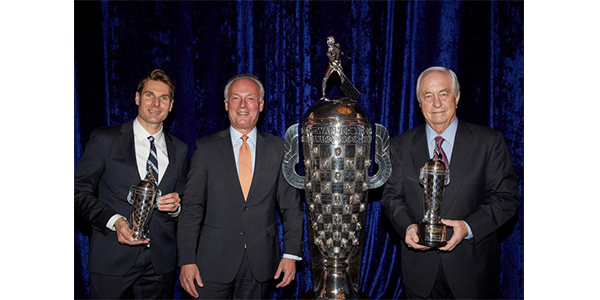 At the Automotive News World Congress in Detroit, BorgWarner President and CEO Frederic Lissalde presented IndyCar Series driver Will Power with his BorgWarner Championship Driver’s Trophy. Known as the “Baby Borg,” the trophy commemorates Power’s 2018 Indianapolis 500 victory, the first ever by an Australian driver. The Borg-Warner Trophy has a permanent home at the Indianapolis Motor Speedway Museum, so the Baby Borg was created as a keepsake trophy in 1988 and is presented to the Indy 500 winning driver and team owner(s). The likeness of the winning driver’s face that is created in sterling silver and permanently fixed to the Borg-Warner Trophy also is included on the Baby Borg. This is Power’s first Baby Borg trophy. Power’s 2018 Indianapolis 500 win was historic for Team Penske owner Roger Penske as well, as he added to his legacy as the winningest team owner in Indianapolis 500 history, now with 17 wins. Penske’s longevity is unmatched with Indianapolis 500 wins in five consecutive decades spanning 1972 to 2018. 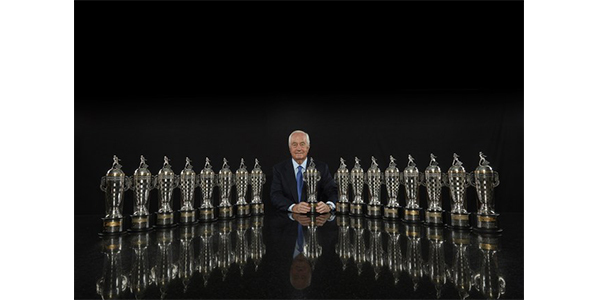 Penske and his team’s accomplishments are legendary in the motorsports world across a multitude of racing disciplines. Cars owned and prepared by Team Penske have earned 505 major race wins, 578 pole positions and 34 championships. The Borg-Warner Trophy was created in 1936 as a symbol of technology and innovation in racing. As the oldest, most famous trophy tradition, the Borg-Warner Trophy is a most sought-after motorsports prize.